Junk food and gymnasium: two buddies who love to play together with both your health and wealth! How? You are working hard to lead a good life… go out, party and enjoy. Get tempted by mouth watering junk delicacies and put on the extra calories. And then rings a health alarm in your head and you rush to the gym. Burn the surplus fat and not-so-surplus money and feel happy about it! 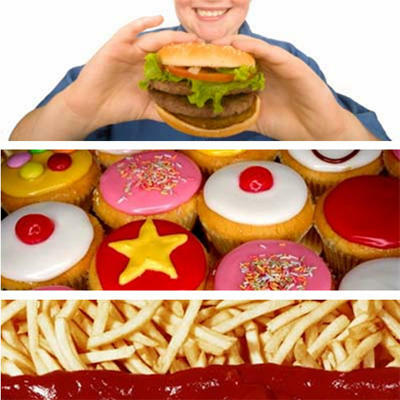 You become a slave of your taste buds and the victim of an unhealthy lifestyle! First the unhealthy food makes a hole in your wallet, then the whooping gym fee eats up your hard-earned money. Do you still feel happy about it? Is it not better to avoid junk all together and save time, money and health for greater pleasures of life? Let’s begin at home! Throw away (ok give it away but don’t consume) all packets of chips, wafers, cookies and other junk foods in your kitchen! Keep it out of sight and hope to have it out of your mind! In place of them, stock healthy food. Choose grilled, roasted or boiled forms of food, rather than the fried ones. At your workplace too, keep healthy food to nibble in between work, meetings and meals. Another way to avoid junk is to avoid sitting idle. When you are doing nothing, you want to eat. And you end up eating unhealthy stuff. So, keep yourself occupied. If nothing else, talk to your family or friends, nurture a hobby or play a game that keeps you busy. Finally, don’t try to put a complete full stop on your junk food diet. You are no superwoman! This way, you may give in to the craving and end up eating a lot more than what you had intended! So, reduce the intake to a bearable level. Also, keep exercising. It helps you keep fit and looking younger and more energetic. A bit of yoga, brisk walking or jogging can do you good. Now, don’t you think this is better than getting your pockets burnt with unhealthy foods and unnecessary gymming?